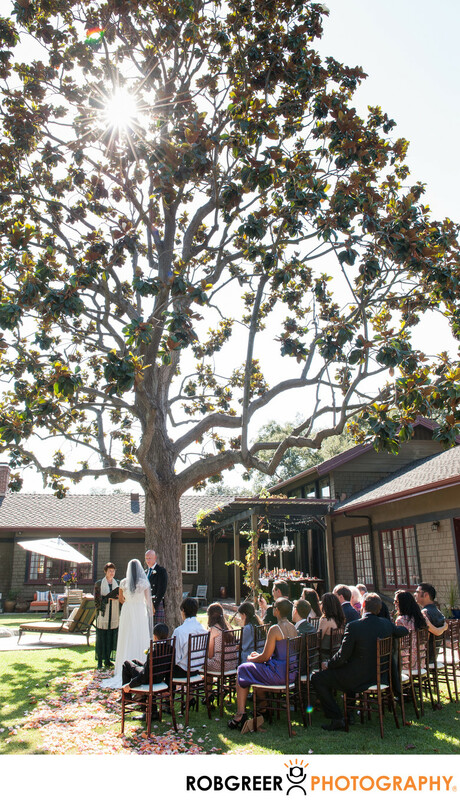 This photograph features an overview of a backyard wedding ceremony. This private residence is located at 300 S Arroyo Blvd, Pasadena, CA 91106. Location: 300 S Arroyo Blvd, Pasadena, CA 91106. 1/80; f/11.0; ISO 400; 29.0 mm.